It looks like Kate Moss is still getting plenty of wear out of her Isabel Marant boots, which we spotted her wearing this past fall. The legendary supermodel was photographed earlier today wearing the embroidered boots with black jeans, a casual tee, and a cropped leather jacket. 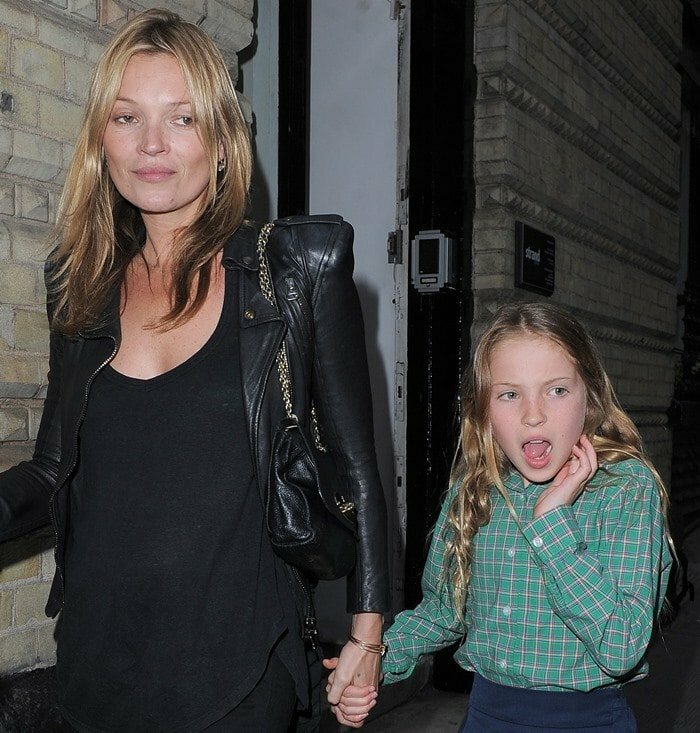 She attended Debbi Clark’s “An Exhibition of Portraits” in London with her daughter, Lila Grace. Lila, a spitting image of her mother, was adorable in what looked like a school uniform. Mother and daughter held hands as they walked, and Kate was all smiles. 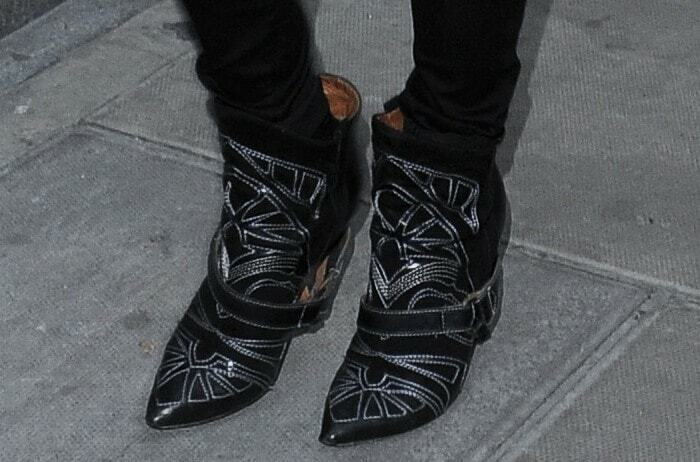 Any shoe enthusiast knows that Isabel Marant boots are a big hit with celebrities — even boots that are long out of season. 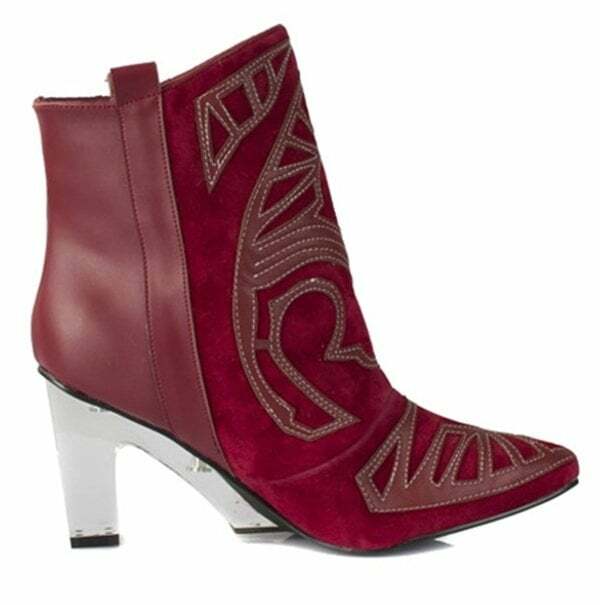 We’re willing to bet it’s because Isabel Marant offers glamorous designs in comfortable styles. 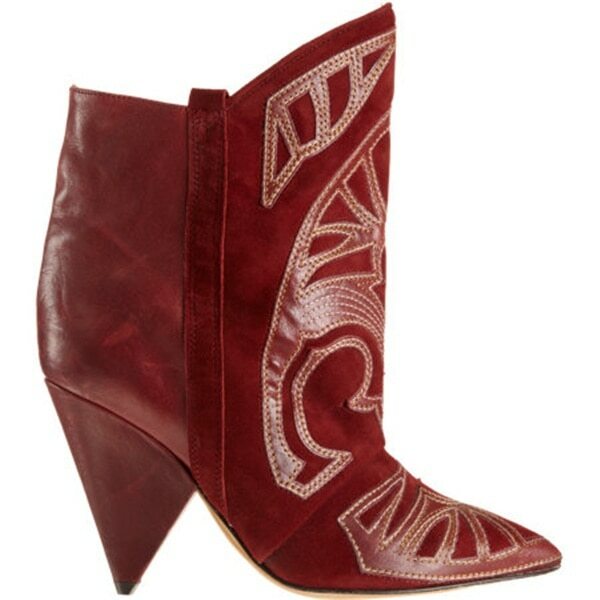 Not surprisingly, Kate’s boots are all sold out online, but a maroon version is still available at Barneys New York. We also found a much more affordable option in both maroon and black.